Hi Kevin! 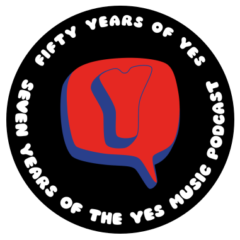 The Yesshows version of TaaW (London 78) is part of the “big medley”. While on the record it’s edited and cuts to GftO of another gig (Frankfurt 77), I think in reality it goes to Long Distance Runaround. Nevertheless it’s been also my favourite version of the song! Another great episode. Thanks! Thanks Miguel – great to know you are listening! I do remember that difference now that you mention it. How strange to cut and paste live versions like that. I suppose we are fortunate now to be in an age of digital media where there are fewer restrictions on length of recordings etc.